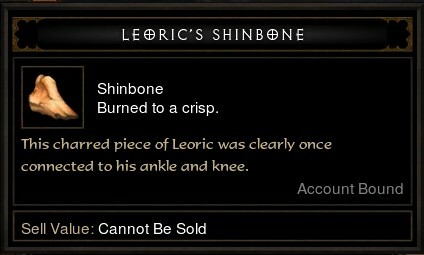 Leoric's Shinbone in Diablo 3 - How to find it ? How to find Leoric's Shinbone is a question that many of you asked. In your journey to find all the items required for the staff of herding (your ticket for the Diablo 3 pony level), Leoric's Shinbone is maybe the one which appears to be an easy find. Nevertheless this can be a tricky item, because most of the players will pass the area where this item spawns and you have to make another run to find it. You will find Leoric`s Shinbone in Leoric`s Manor, at the entrance, where you fight against some mobs. The tricky part with this item is that when you fight against those mobs at the entrance you can easily pass that area because of the fighting, so just make sure you explore that beginning area or let's make it easier with a photo of the exact location. Leoric's Shinbone location is in the fireplace, just right from the entrance. If the "Burnt logs" didn't`t spawned in your game, just go to main menu, change quest, Imprisoned Angel and select Leoric's Manor waypoint and check again, you will find it eventually and shouldn't take more than 5 minutes. 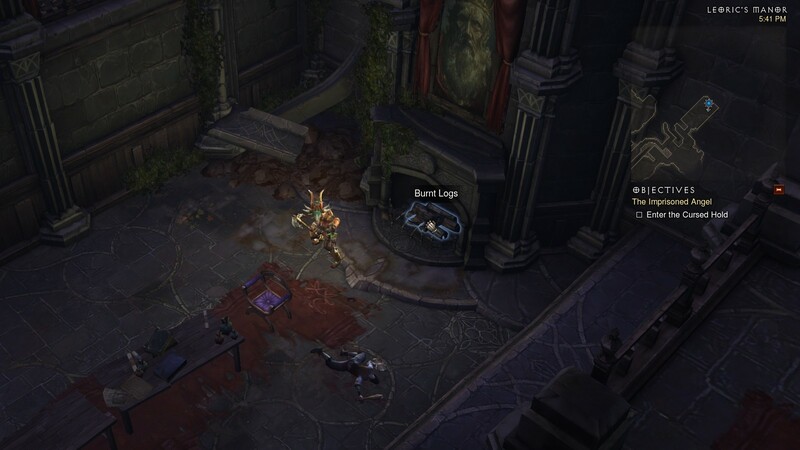 I hope this post answered your question "where can I find Leoric's Shinbone in Diablo 3?". I have problems to find it,I found the place where you showed.But the item doesn't come out.I tried to leave game and come again.Still not working. I have been running this waypoint on all difficulties for the last 2 1/2 hours and have yet to see logs in the fireplace.. lol.. so much for 5 minutes.